Click the image below to check them out! The Paper Fox featured in: October 3D World issue! 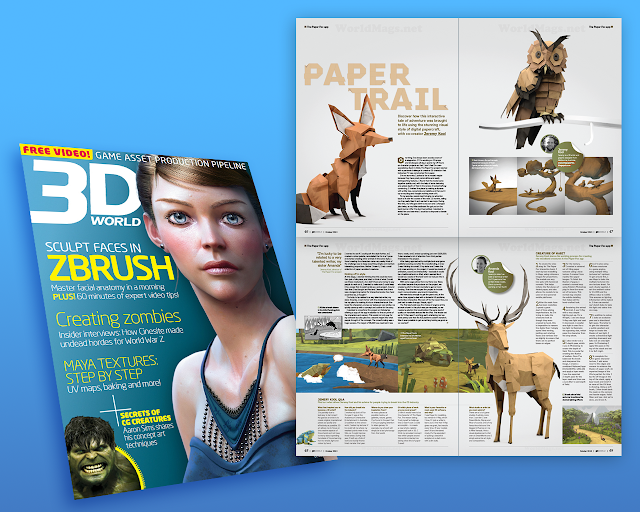 The Paper Fox got a great write up in this month's (October) 3D World magazine! Very cool. 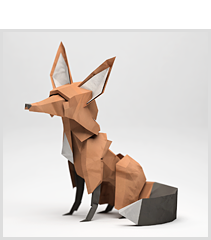 Paper Fox project has been featured in issue #216 JULY 2013 of Computer Arts Magazine! Click on the image to download the app! 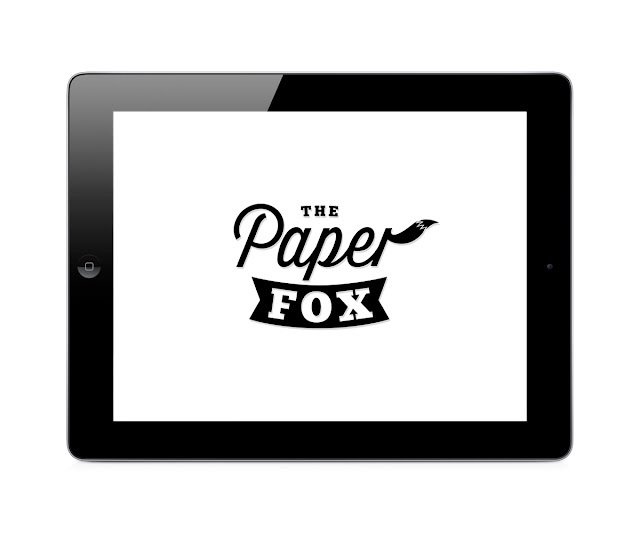 The Paper Fox. Exciting stuff! 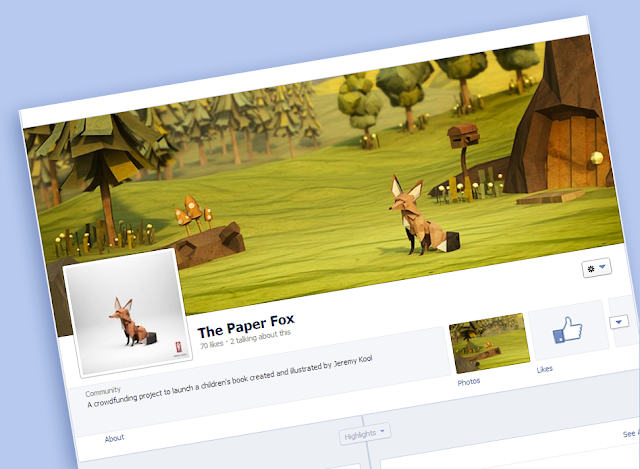 To keep abreast of all things fox, we've got a Facebook page up and running. 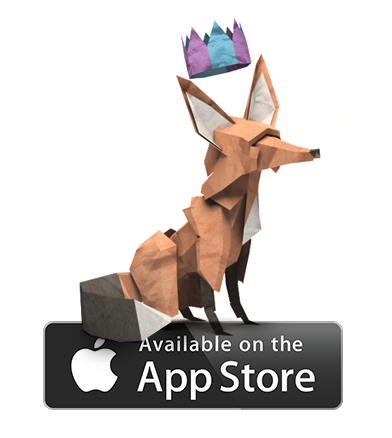 Previously it was run by our team, but our team have been exceedingly busy making, you know... the app. Now it's in better, more attentive hands! To get updates straight into your feed, feel free to like the fox page and you'll be the first to know when the app drops! 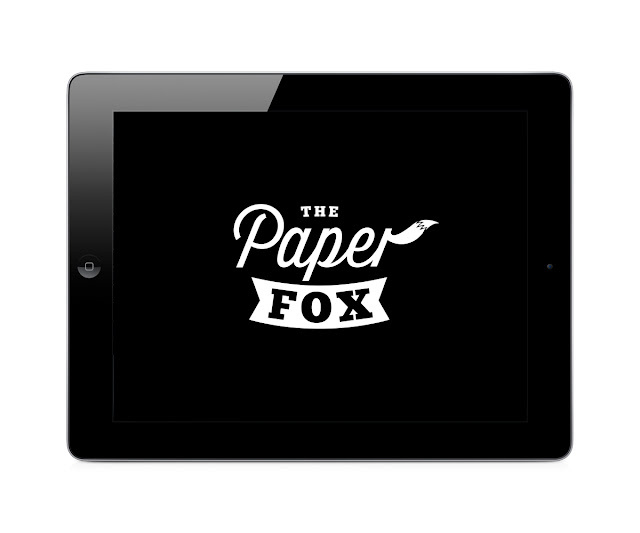 The Paper Fox - Official Logo! With everything coming together splendidly over the last few weeks, The Paper Fox is looking, sounding, animating and reading splendidly. The team couldn't be more excited and as we draw closer to launch, the icing is being frosted onto the app-cake. Hi there and welcome to the devlopment blog of The Paper Fox. 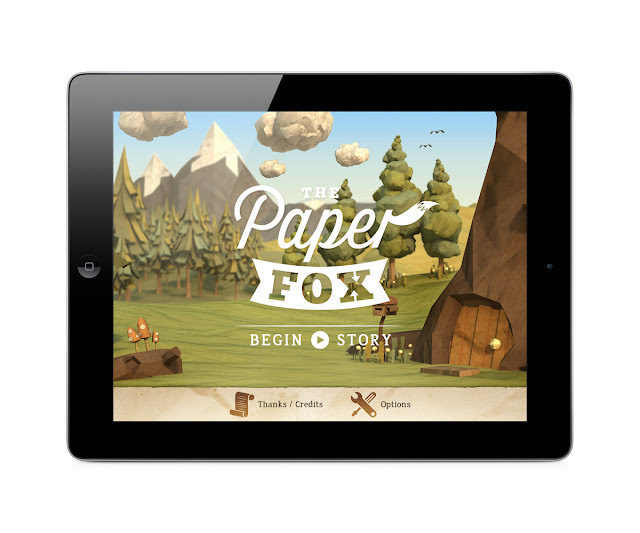 The Paper Fox is an interactive storybook app currently for iOS devices. All the 3D animals and environments featured on the site are created 100% digitally. All images, ideas, scribblings, writings and papery what-nots are copyright © Jeremy Kool. Feel free to repost them elsewhere, but please include a link back & citation. I'm a CG artist with graphic design and illustration roots. I'm currently working in the games industry as a senior generalist. This here is my blog of personal doodlings, experiments and oddities. Enjoy!